Alex uses “blao” meaning any curse word imaginable. I have the mouth of sailor and probably should begin that one. Shanna-I also use Meep. Some people think I’m a sheep though hehe. Chuck-I will forever enjoy using twinnies/twinnsters/twinnzies and any sort of meaning of the word twins. Callie-redikulous is one of my favorite skits. Infact, I’m going to post a link so everyone can go look. Callie brought up a good point in that I also spell things really funny but we didn’t even get into that. For Triple Tangent Tuesday today, I just thought I’d let you guys know it’s my brothers birthday. Um-my family is celebrating two big birthdays this year. I’m turning 21 and Matt’s turning 18. To continue on Tangents of Matt, he will be attending the US Merchant Marine Academy next year (also in NY state) and hopefully we will be competing in our collegiate cross country together. We are kind of like the bomb.com besties crazy running fashionistas. So Happy 18th to my wonderful brother. My how things have changed. I think I was 13 and Matt was 10 on Halloween. Today I made my favorite waffle. The Bacon Spinach waffle. Yes, this is my favorite as dark chocolate orange are my favorite pancakes. Hollie uh what are you wearing? Well I’m wearing pants for once-I’ hope your satisfied. I see you are majoring in eyesight. I’m Hollie (insert my last name here) and that’s how I roll. Then they laugh and say something along the lines of you are the Lady Gaga of campus. **I never know if that’s a good or bad thing. But like I said I march to my own beat and I’m pretty sure most people know me as the leggings girl or something along those lines. I’m not really cocky I swear, I just use that excuse to get away with all my “quirks”. 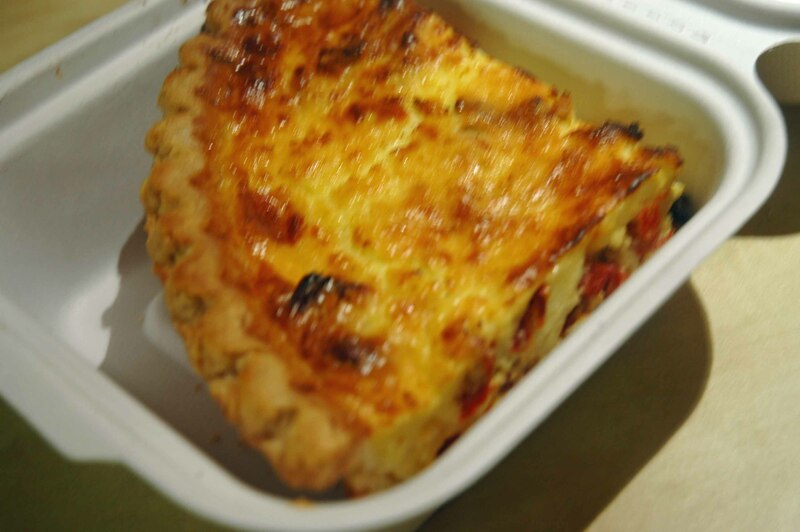 My typical quiche was for lunch as always. I actually had a cauliflower quiche which was interesting and I couldn’t really taste the cauliflower. Today I decided to take a day off running and swim a straight up 3000 yard swim. I’m not too sure why I decided this was acceptable but it was nice and distressing. My chocolate challenge for nutrition is going well. I haven’t had any intense cravings yet, but I’m sure it will come soon. We had nutrition class today and someone had forgotten, um this has been on my mind all month of when to start. 1. Do you have any quirks? 2. I’m in desperate need of guest posts for Friday. 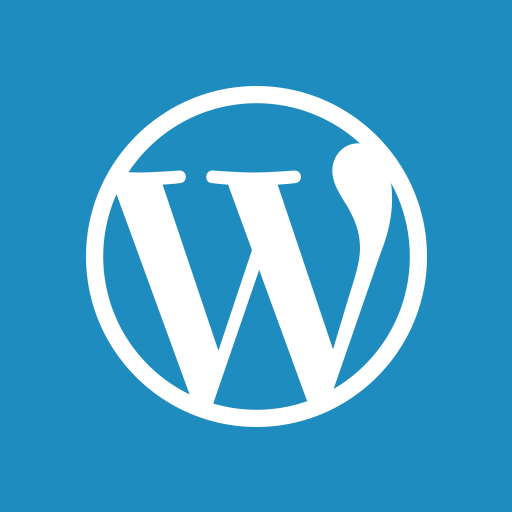 So if you have a story, career choice, sport choice, food choice, want to take up some blogging space on my blog please please please email me. lolzthatswim@gmail.com. I don’t have any quirks at all. I am a perfectly normal teenage girl who keeps a small jar of PB in her purse at all times. I wish I was joking. I love that your and your brother run together! that’s so great! My brother tells his wife that I like to run and that’s how I end up doing races.. but hey, it’s girl time right?!?!? If I could wear electric blue leggings to work, I would. I am an engineer, so I don’t “have quirks,” I just am one gigantic quirk. I love your leggings — years ago when I worked at Macy’s there was a manager there who would wear crazy leggings all the time. Customers came to know her as the “leggings girl”. She was awesome. Bacon spinach waffle sounds super good! I won’t even go into my quirks. Seriously. I’m a kind of a crazy person. Haha. Loving the leggings (again!). Happy Birthday to your bro! People are so funny about fashion. I say that you rock the leggings and I love that you go beyond plain black! Your brother is super TALL! I wish I was as tall as you Heimer’s! 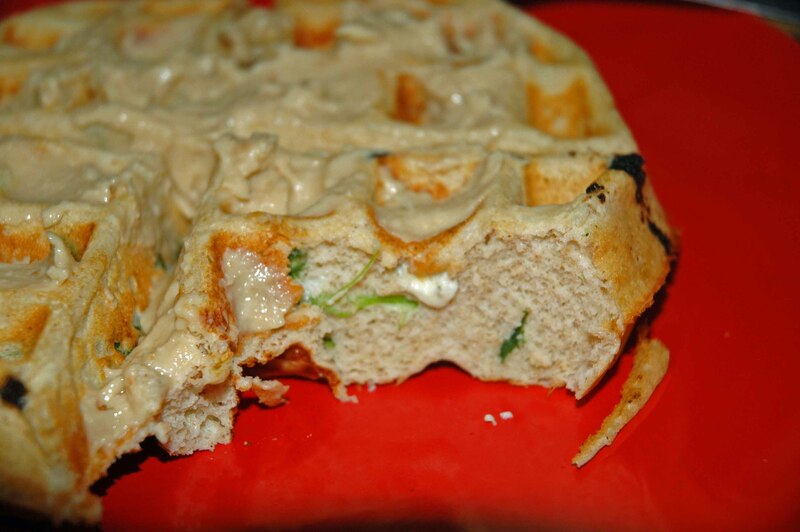 I love how you enjoy SAVORY waffles mmm and I love your style! You rock it and I can tell you aren’t cockey @ all! Your leggings are ridiculously awesome, I mean da bomb.com, of course! It’d be something I’d want to wear but feel self-conscious about! I love how you do what you love regardless of what anyone thinks! Cauliflower quiche? That sounds amazing – cauliflower is my favorite! Love the family pics – they’re so cute! I think it’s fabulous that you march to your own drum cuz I like the beat 😉 Har har har. You don’t have me convinced on the bacon waffle…sweet waffles trump! Ooh happy early birthday to both you and your little bro! Is he a senior about to graduate?! 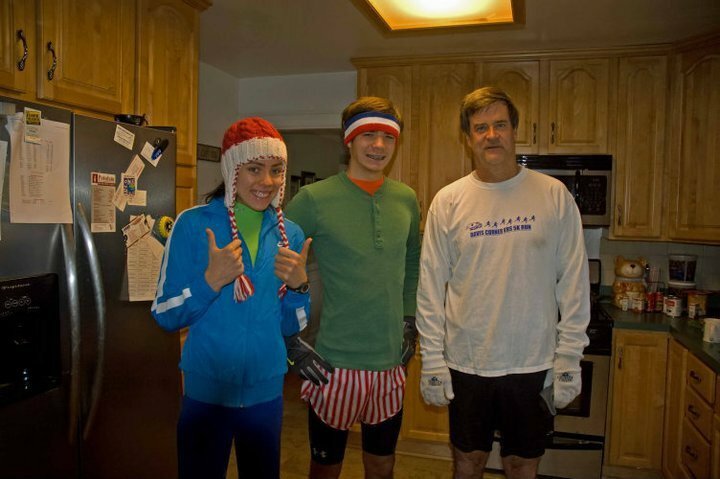 I love running with my little brother too, ahhh its so cool that families run together!! And what in the world is in those pancakes because not gonna lie, it looks AMAZING! is there some kind of tahini/hummusy sauce on top!? I want them NOW! Don’t know if this a enough for a topic, but lately I have been totally into flaxseed chips. Last night I bought two kinds at Trader Joe’s the veggie ones and the spicy tortilla chips. Problem(?) with the spicy kind, I swear there is no spice, so horribly bland. I do like these are low sodium and high in protein tho. Anywho Happy Birthday to Matt! and early HB to you. My only sib, older sis’s b-day is this Thursday. Bacon spinach waffle? OMG that looks good. Leggings > pants ……….any day! They are so comfy and versatile! I where them over pants whenever I can! That waffle and quiche loook quite delish! Hah.. I wish that I could get my little brother to run with me…but I don’t think I could even get him to run down the street with me…maybe someday he’ll get there…. 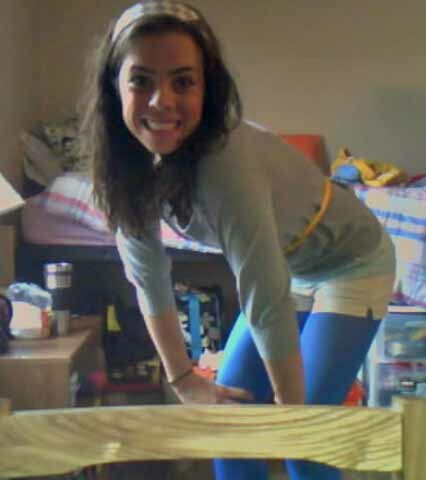 I love the blue leggings! Girls on my team have pretty funky pairs…I’m talking strips and thunder bolts…. Haha, love that Halloween pic! I wish my sisters ran, so we could run together, but they are into their own sports (crew and tennis). I love your lady gaga style. I wish I could march to the beat of my own drum, but I really just live in nike tempo shorts and look pretty normal. Happy Birthday to your brother! Maybe when my sister gets older we’ll be running buddies, but for now she’s got ice hockey and can skate better than anyone I know. Hahah actually when I saw you I thought “ooo i like her outfit! !” hahaha ps happy birthday brohaaaa! Girl, you got style. I wish I could pull that off. Happy birthday to your brother! He looks like a runner. Oh goodness I am full of quirks. One of my fellow interns has become very fond of calling me a hot mess recently! It’s hard to even decide what my quirks are, it’s just sort of my Grace-ness! Does that make any sense? Lol I wish I had leggings like that to race in! What did you top your waffle with? I also don’t wear pants, and I’m glad I’m not the only sane one in the world. Seriously, why would you wear constricting jeans when you can be a million x as comfy in no pants? I would say my biggest quirk is that I love moustaches. Especially giant novelty moustaches. Especially especially when I’m the one wearing them. I have a moustache mug, a moustache flask, moustache patches on my engineering coveralls, and there are many pictures of me at costume parties on facebook wearing hilarious moustaches. How can people not think they’re awesome? Happy birthday to your bro!!! Love your leggings & your family is super cute! I loved your scenario conversation thingy haha too funny. I’d def say take being called lady gaga of campus as a compliment. (and I do love the blue tights I wish I could pull that off). And my family has 2 big birthdays this year too! I turn 21 and my dad turns 50! Bahaha I love your leggings, rock it girl! 🙂 My random quirk is that raw mushrooms give me the heebie jeebies. I won’t even think about trying them.. but I think that cooked mushrooms(sauteed, portobello burgers, etc) are freakin’ delicious.